How Important Is A Towbar ? Can It Be Replaced? Considering how important a Towbar is whe it comes to ground support equipment, it is important that the maintenance teams are taking proper care of the same. If you belong to this industry and are operating in Ground Support Equipment operations and maintenance, then this blog can help you understand how to care for your GSE towbars. We are sure you must be aware of the importance of a towbar. It is this one piece of GSE that helps safeguard a million dollar aircraft. Despite its heavy-duty application, ground support managers and operations departments often tend to miss out the fact that quality and not quantity is priority when it comes to the safety of an aircraft that is supposed to carry millions of lives across the globe. A towbar is a GSE that helps with moving or towing the aircraft. 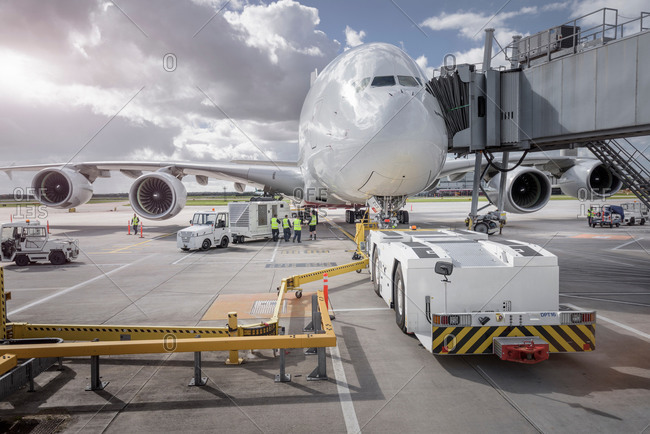 The towbar is a conventional equipment that is not necessarily replaced frequently, yet there are certain practices one should take care of if they are working in the maintenance department of an airport. Are running wheel axis secured? Apart from these basic inspection practices, it is essential you adhere to developments in new types of GSE. With the world moving towards better efficiency products in every line, the usage for towbars is definitely being replaced by many other versatile equipments that are easy to handle and maintain. Is there a better replacement to Towbars? The towbarless tractors are using better equipment other than the towbar. These tractors are widely used across airports to provide for easy maneuverability. The basic benefits achieved from ditching these conventional towing GSE like a towbar is the fact that they make it faster to move aircrafts around. And, they make sure the overall impact on the airport operations is reduced. Since the towbarless tractor works without a towbar, this helps ensure a much quicker and safer movement of the aircraft. Being faster than the conventional towbars, this takes care of the aircraft movements, pushbacks, other airport operations such as maintenance towing, gate-to-gate towing and more.